Etoile is the new six-strand floss with a twinkle effect that adds beautiful, subltle sparkle to needlework! 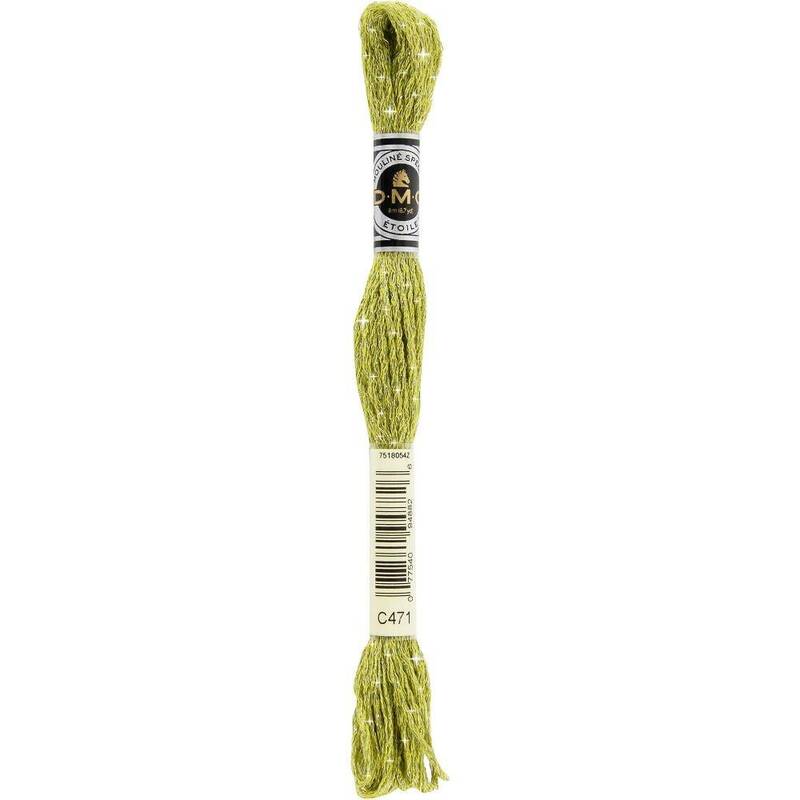 Etoile stitches up the same as 117 Embroidery Floss and is available in 35 of the most popular floss colors! It is ideal to create a subtle shimmer on cross-stitch, embroidery, needlepoint, punch needle, counted canvas and any needlework or craft project. Colors coordinate seamlessly with regular DMC floss and uses the same color numbers.